This site is dedicated to Ed Kraujalis, "the mangosteen man." To all who knew him and loved him, he left us all long before his time and long before any of us could believe it. His devotion to the mangosteen fruit and the awareness of its charms meant our paths would cross years ago. I will always be grateful for his patience and earnestness and willingness to provide me with any help he could to help me bring the mangosteen out into the light of day. I think of him every time I am on my farm and see many of the older trees that were from "the mangosteen man." In this way, he is still with us and will be for many years to come. "Maturi sunt adeo delicati et grate dulces ac optima lansiavel uvae maturae excogitari possant. simulque adeo succosi ut multi vix satiari hisce fructibus possint, ob excellentum odorum gratamque, dulcedinum putaturque, quum aegrotus nullum alium amplius appetat, vel edere possit cibum, hoc delectari adhuc fructu; si vero hunc non desiderati de ejus salute desperandum esse, &c."
I doubt that I could say it better. "When ripe the fruit is as delicate and agreeably sweet as the finest lansehs (another famous Malay fruit tree, of which a variety called the Duku is the domesticated representation which ought next to engage the attention of the wealthy) and may even be mistaken for ripe grapes. It is at the same time so juicy, that many people can never eat enough of it, so delicious is its fragrance and agreeable its sweetness; and it is believed that the sick, when appetite or the power of eating has wholly gone, are nevertheless delighted with this fruit; or at least if they will not take to Mangosteens their case is indeed hopeless." Enjoy the mangosteen.com web site! This is another site intended to provide information on the rambutan. "moving scientific information to the developing world"
This is a very important organization and one that might have ended up with the mangosteen.com domain if I hadn't already reserved it. But the importance of what they do is too great not to help them to be found. Logo and link with permission to do so. This is a gold mine and a true beacon of hope for the Amazon rainforest. So many talk, so few actually do. And this wonderful web site talks and does admirably. There is something for everyone and teachers should be aware of this resource for the knowledge base and projects aimed at informing children and adults alike. The documenting of the exploitation of the Amazon for its natural wealth is only a part of this large site's content. I highly recommend looking at the plant list on the page http://rain-tree.com/plist.htm and I want to draw your attention to the one on acai because of all the miraculous claims associated with this palm and its fruit. Check out http://rain-tree.com/acai.htm and see if it alters your view of the hyperbole on the net! Times writers and reporters have long embellished tales and gushed over this exotic rarity. for their readership in the Western Hemisphere. American marketplace as recorded by the New York Times. mangosteen. Usually, right after that, we ate them. 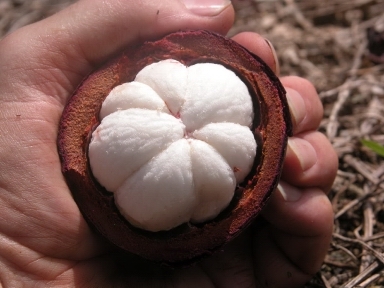 Why an article in the New York Times about an exotic fruit called the mangosteen? February 5, 1878. "The notes of a traveler." By T.W.K. fruit" he had ever seen. August 23, 1925. "Queen once vainly sought fruit US will get." delivery of mangosteen to the United States will be possible in about 10 years." in the making, we are soon to reach fruition. 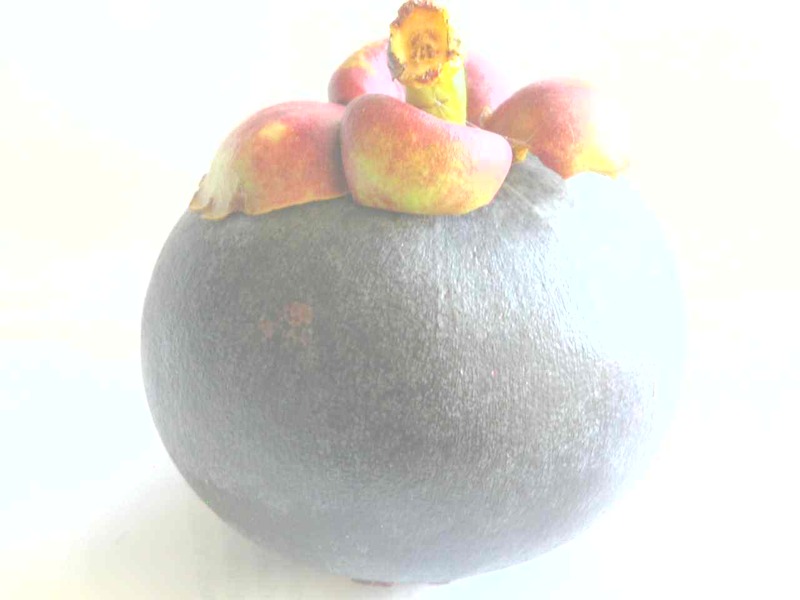 "Mangosteens Arrive, but Be Prepared to Pay"
This most current reprise updates the current situation regarding the mangosteen as small shipments were made to New York and California. To see the entire article might require that you register with the New York Times online edition. It is well worth it just to see the reception and prices that this fruit has garnered.